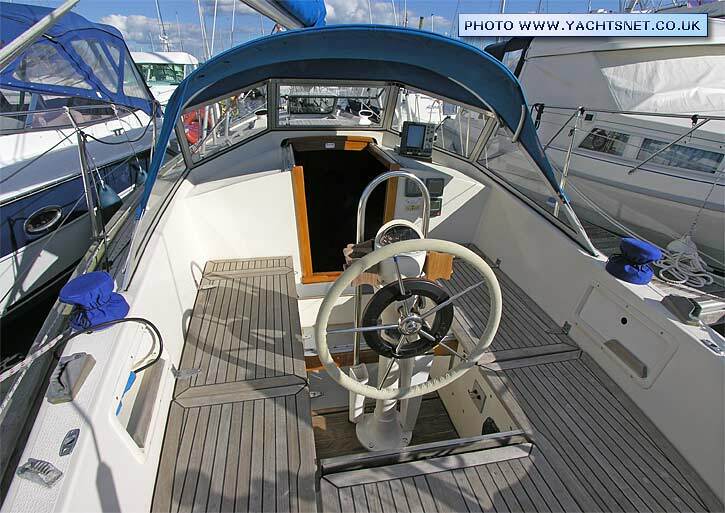 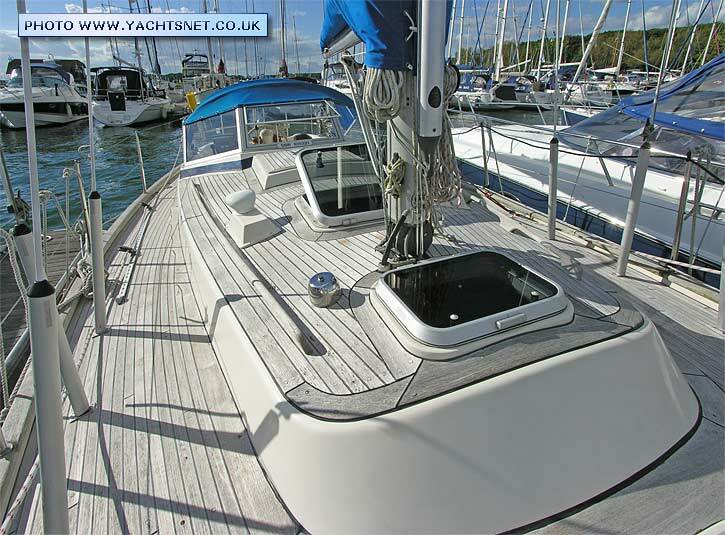 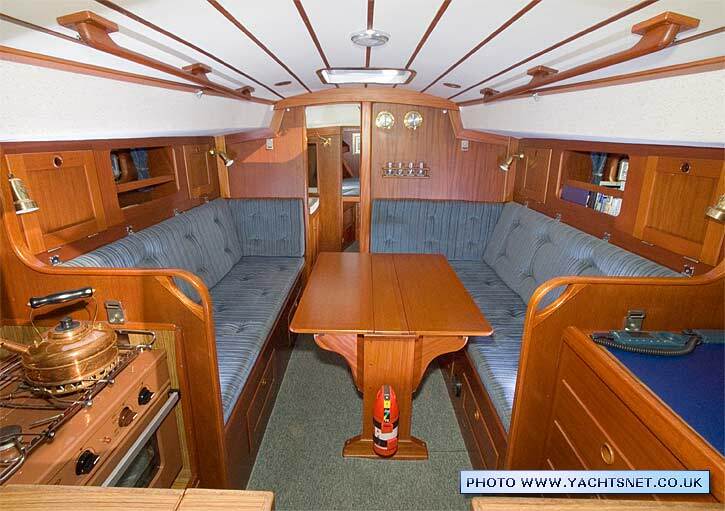 A quality cruising yacht, the Hallberg-Rassy 312 has all the features of the larger Hallberg-Rassys in a small package - fixed windscreen, teak decks, beautiful mahogany internal joinery and solid build quality. 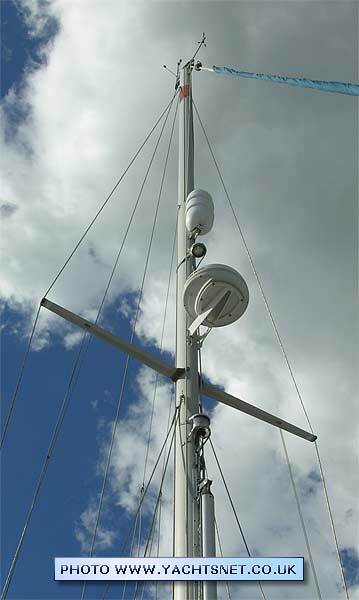 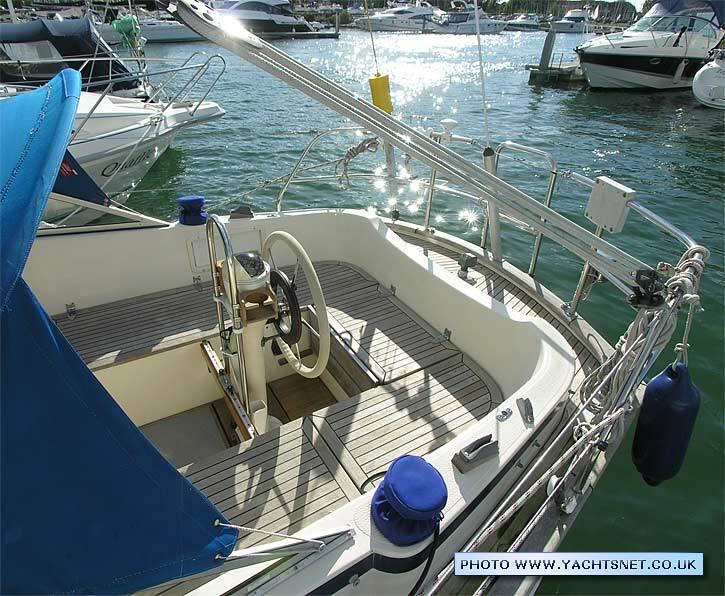 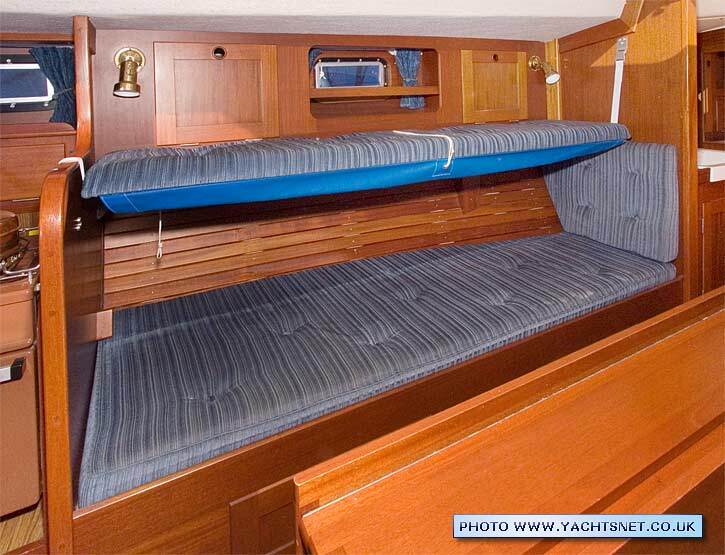 Introduced in 1979, the Hallberg-Rassy 312 was designed by Christoph Rassy and Olle Enderlein. 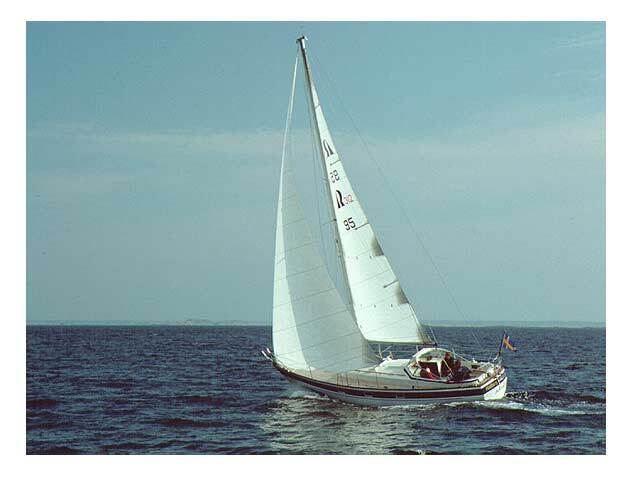 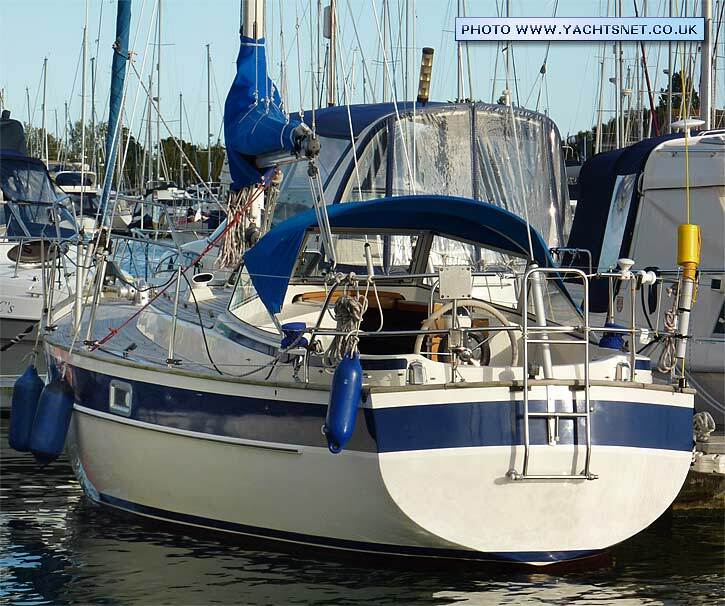 It was one of the most popular models Hallberg-Rassy built, with almost 700 built during the long production run from 1979 to 1993. 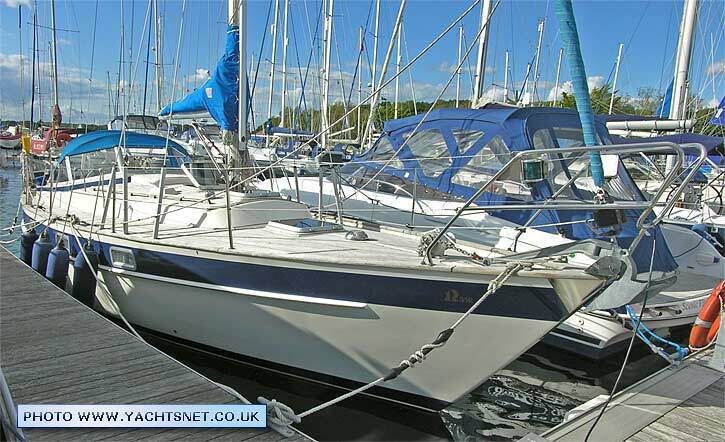 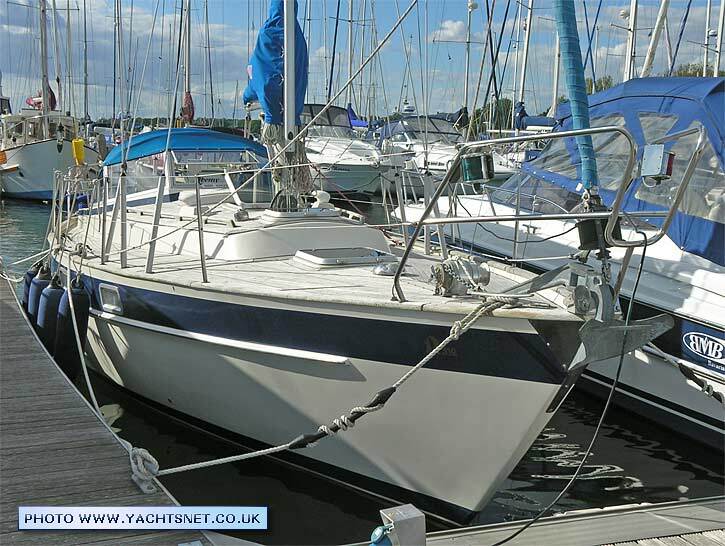 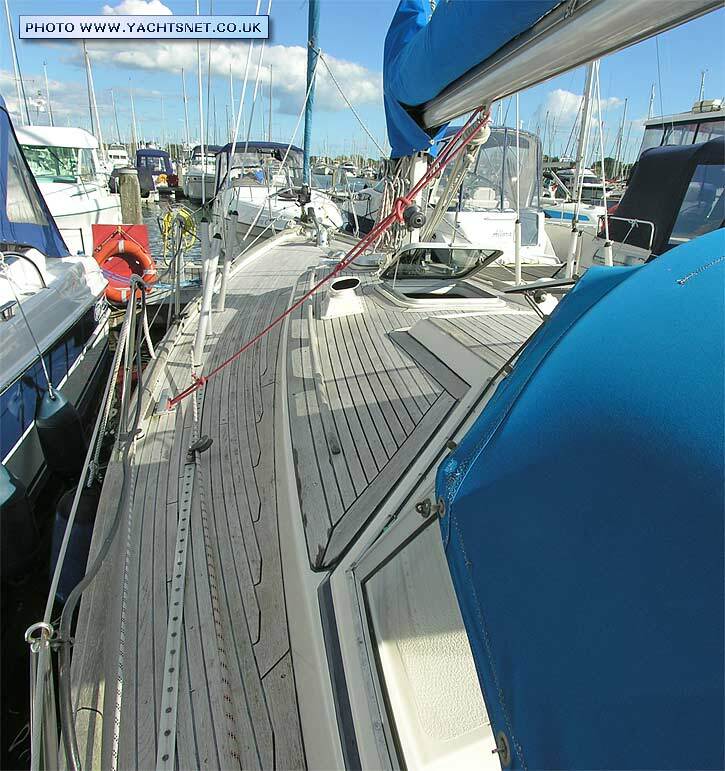 The hulls are moderately heavy displacement, built to Lloyds specifications with solid GRP hull mouldings, and foam-cored and teak-covered decks. 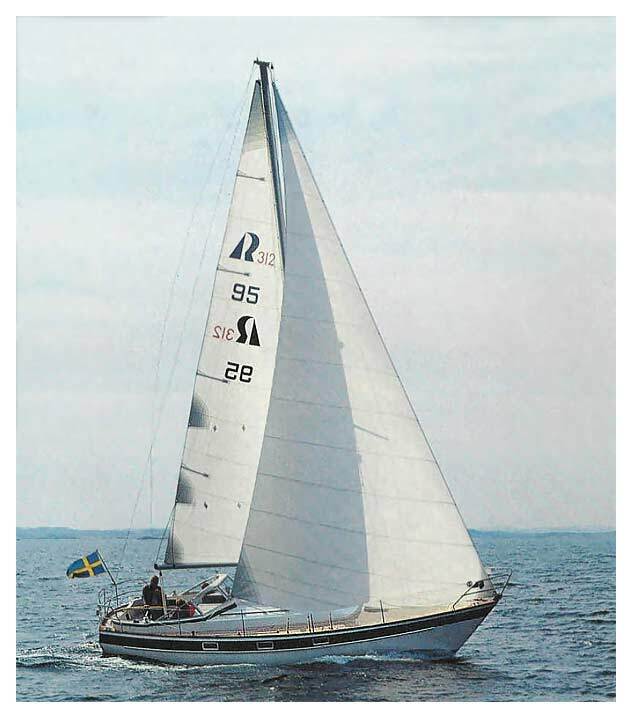 Like all Hallberg-Rassys the 312s are regarded as very good seaboats, with good sailing performance. 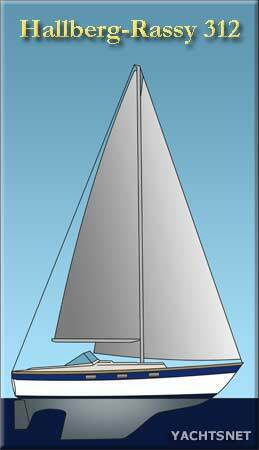 Mk I boats, of which the yacht illustrated is an example, had the saloon windows in the blue stripe on the hull side. 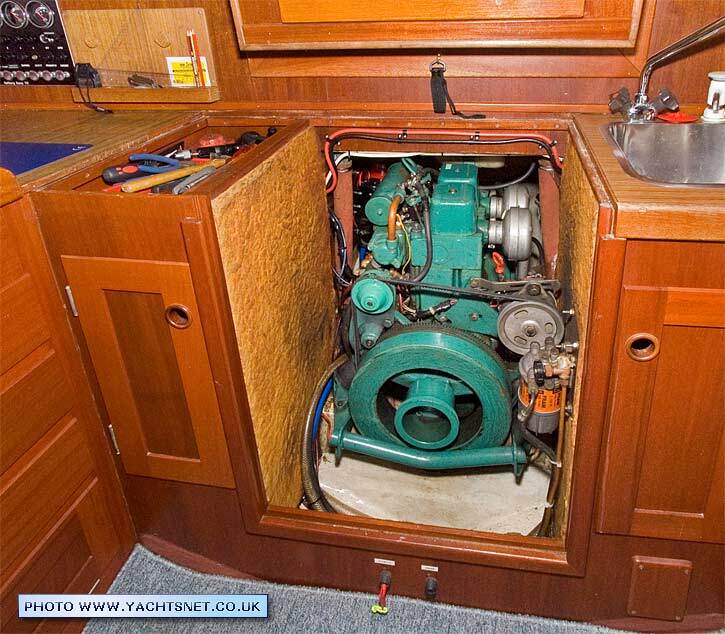 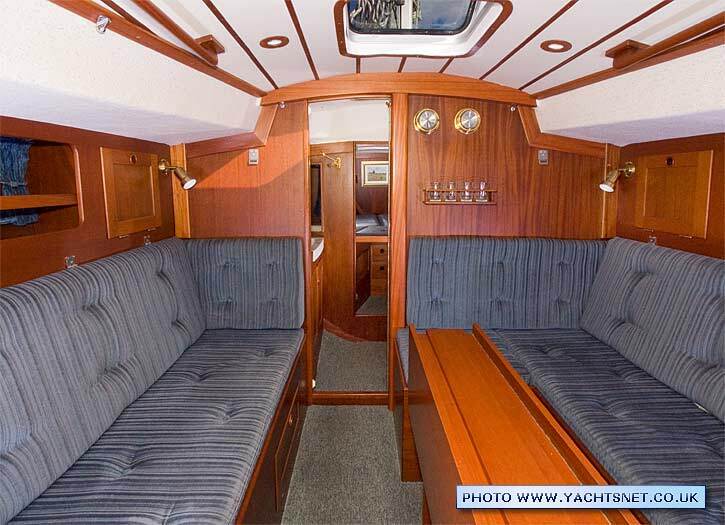 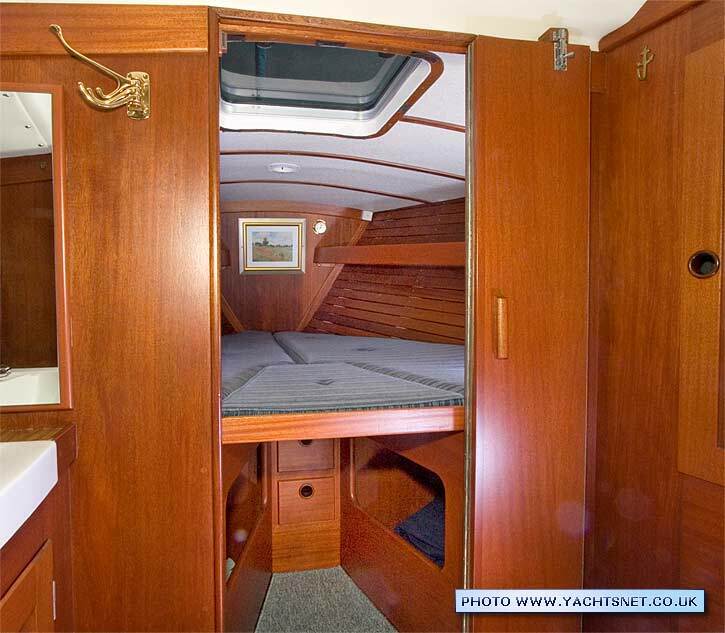 The interior could either have a quarter berth, or not, those without the quarter berth as in this yacht having much better cockpit locker space. 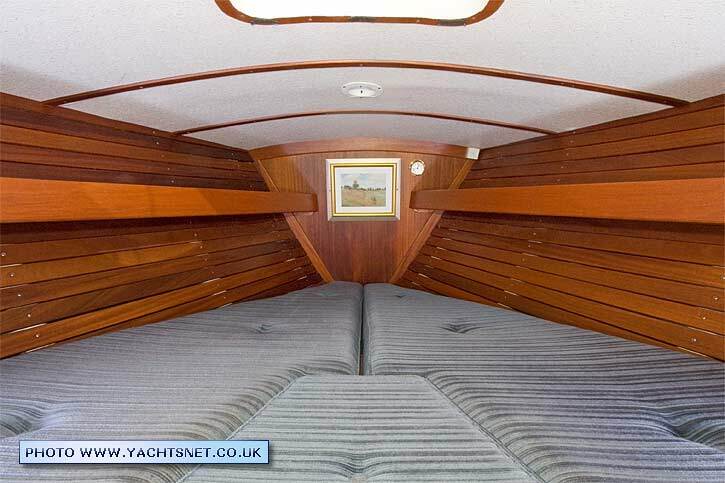 The Mk II boats had an enlarged saloon, with fractionally greater headroom and larger windows in the coachroof sides. 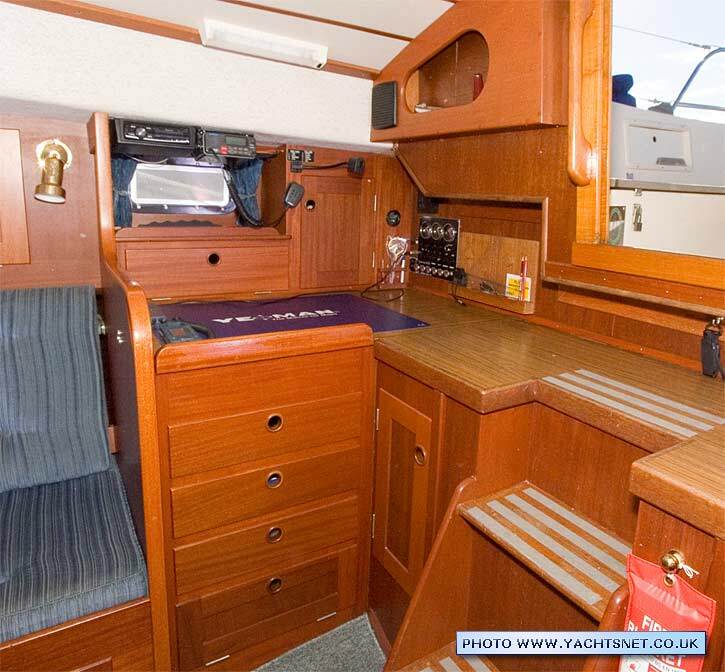 All Mk IIs had the quarterberth layout. 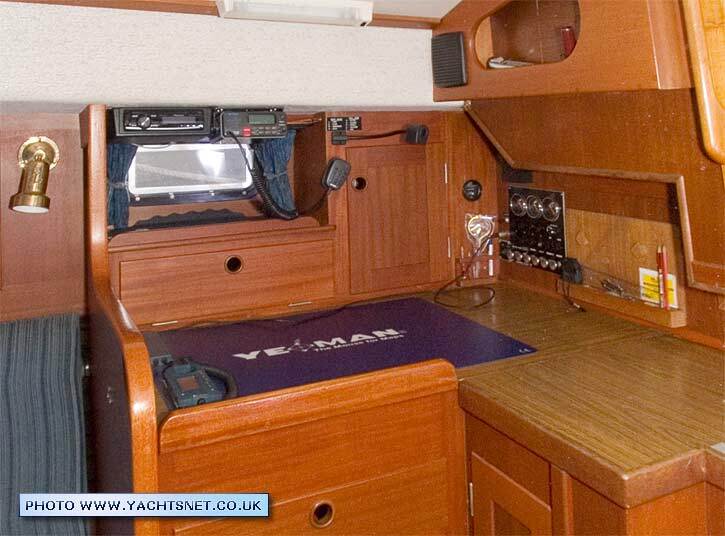 The cockpit and heads compartment of the Mk II were slightly smaller as a result. 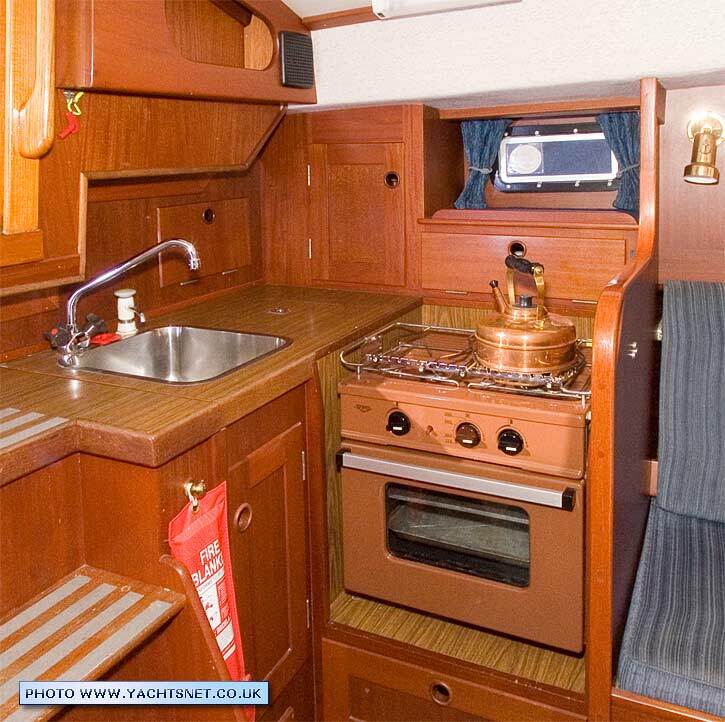 The "Scandinavia" designation for the HR312 was for a model built with more options fitted as standard. 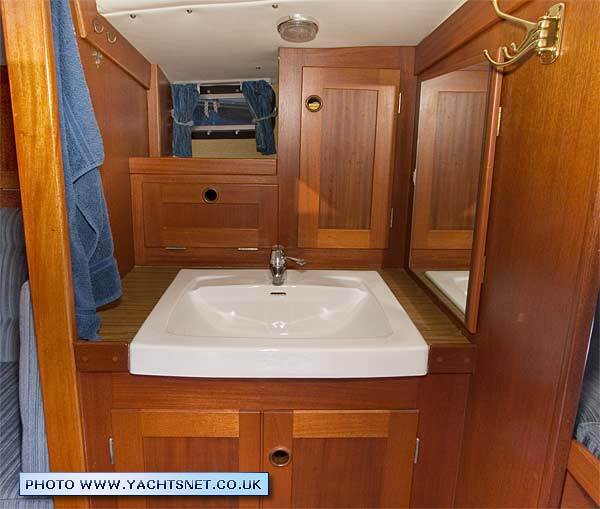 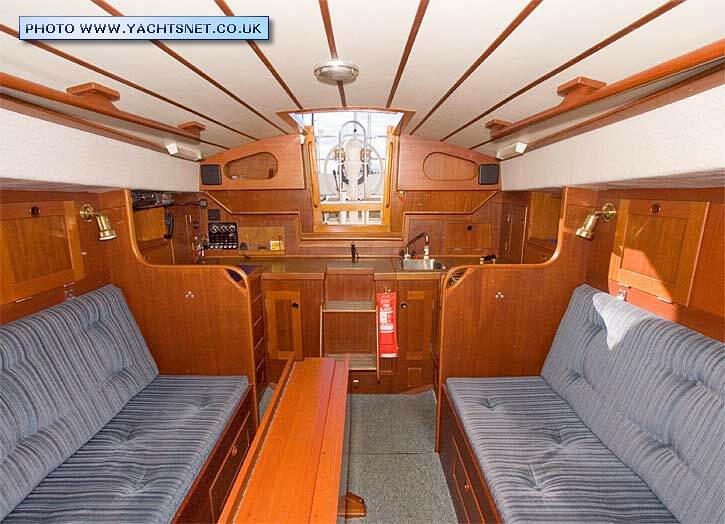 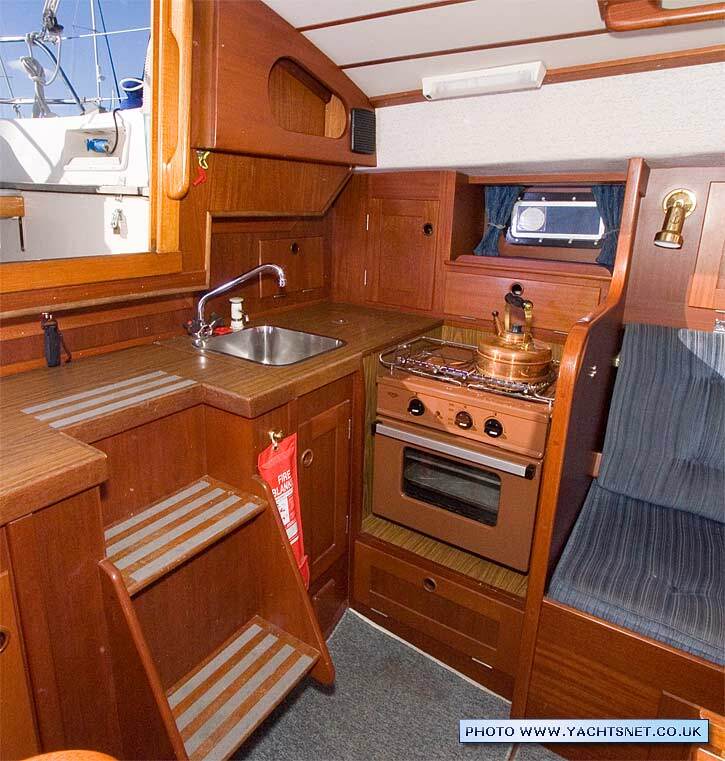 The starboard saloon berth converts to a small double - 77" long by 37" wide. 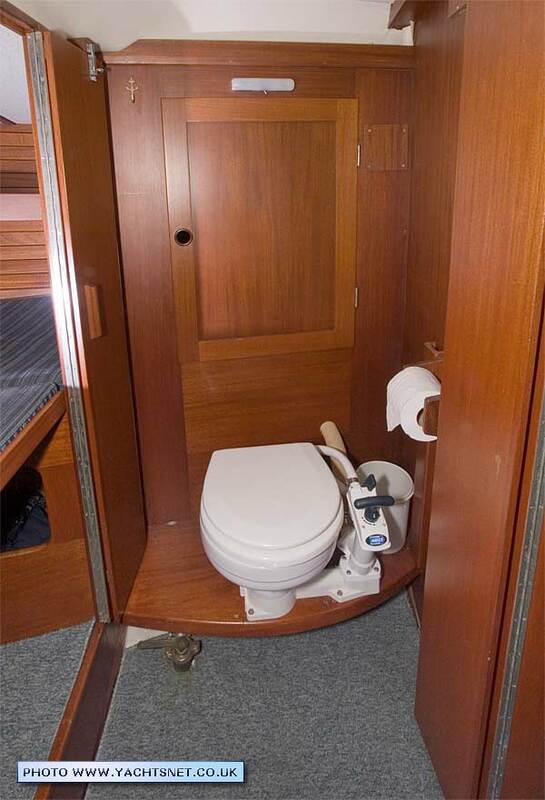 Saloon headroom is a fraction of an inch under six feet. 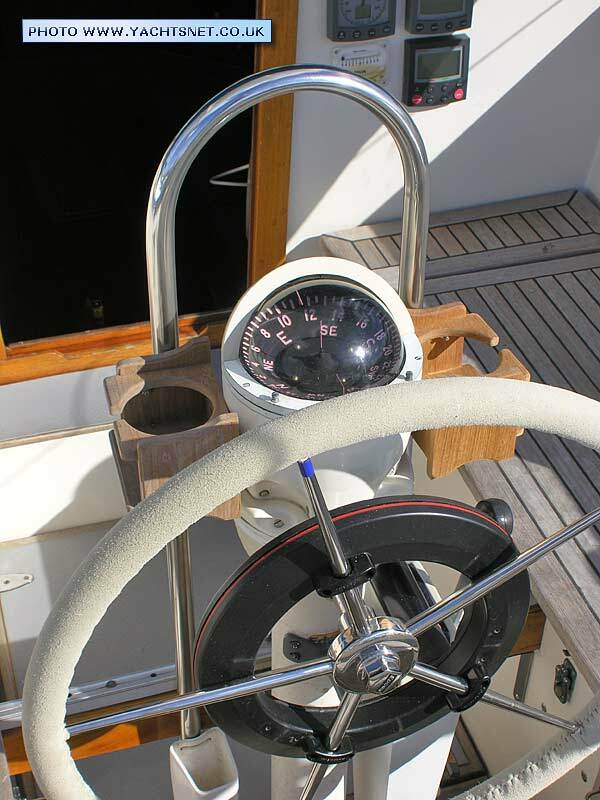 The fixed windscreen, of toughened glass in alloy frames, is a virtual trademark of Hallberg-Rassy. 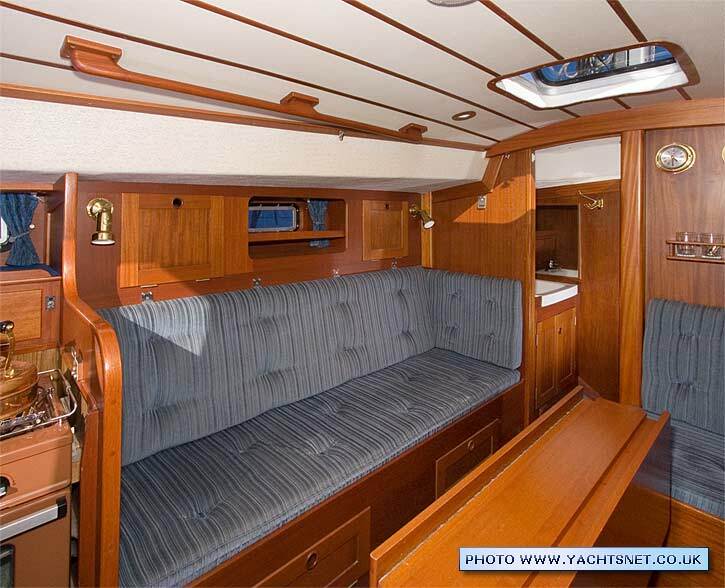 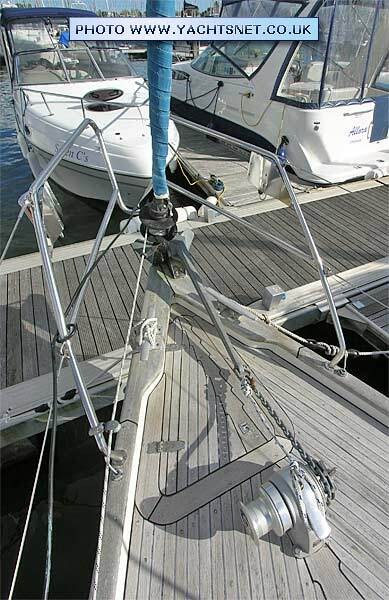 These boats are all also built with traditional laid teak decks, fastened with screws and plugs. 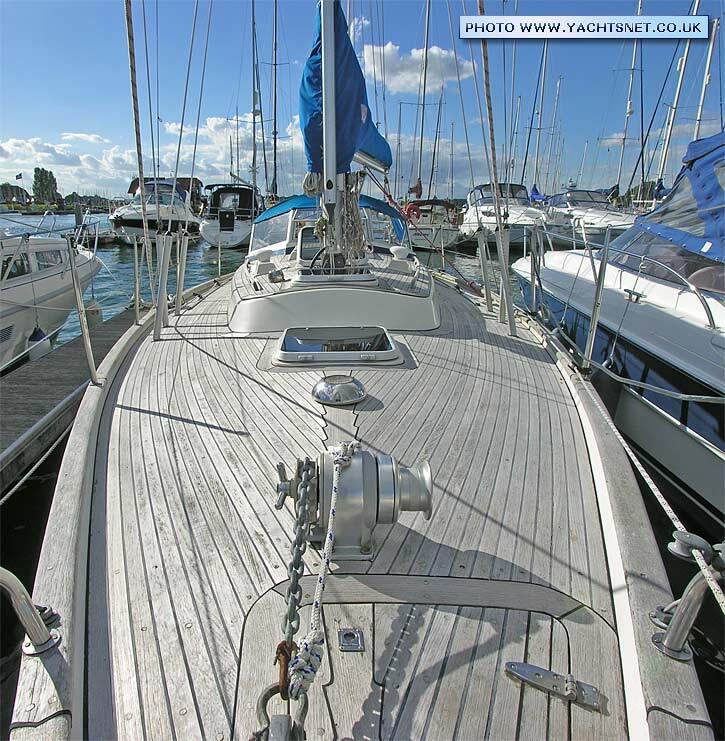 Although the teak decks are of greater thickness than most modern yachts, if they have been scrubbed hard over many years (or even worse regularly pressure-washed) they can be wearing thin, and are very expensive indeed to replace.